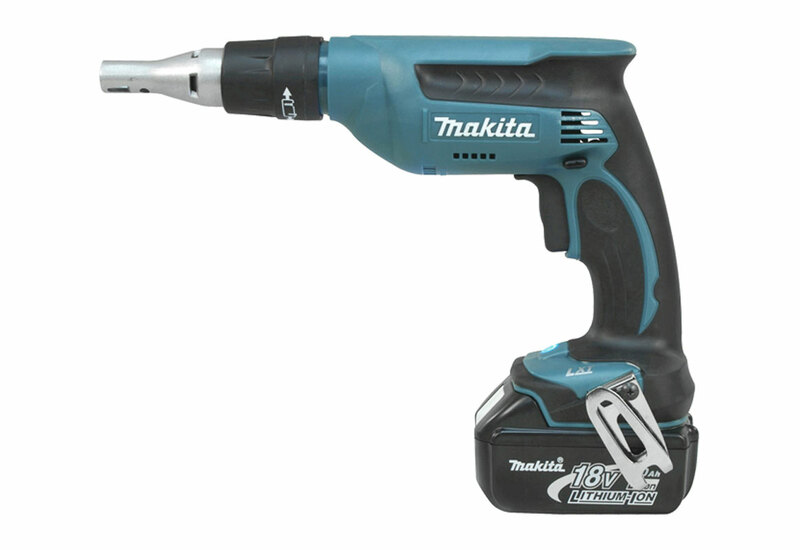 The Makita Cordless Drywall Screwdriver (DFS451F) from the Tool PLUS Series incorporates Makita's battery protection system with compact pistol-grip build. The NEW battery protection system provides over-discharge, temperature and current protection (enhanced performance), battery cycle life, and overall battery life. The screwdriver's silent clutch offers smoother engagement of gearing for higher durability and increased operational efficiency. 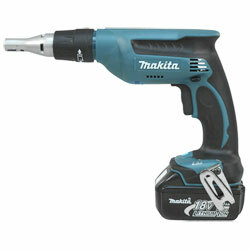 The variable speed trigger allows you to adjust the driving speed based on materials or the job. Its one touch locator enables quick and easy bit changes. The ergonomic soft RUBBER grip absorbs vibration and operates comfortably.